This year, we made a long-term collaboration with SSHS-Shenzhen. Our team members helped them build a team and gave them advice on the experiment, safety, and more details of the competition. We also gave them instruction in modeling. 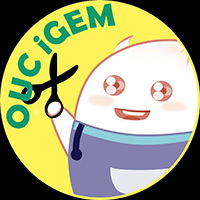 In return, they did a closed beta test of our application and mini program on WeChat in order to make our application and mini program better. 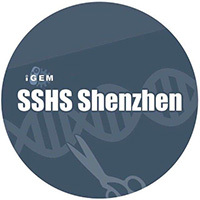 In summer, we shared our laboratories with SMS_Shenzhen, and guided them to do some foundational molecular biology experiments, like electrophoresis as well as transformation. We also gave them a hand on their Interlab. We gave them instruction on reading the protocol and provided them for some equipment. As a reward for what we did, they provided us with detailed research about chitin. 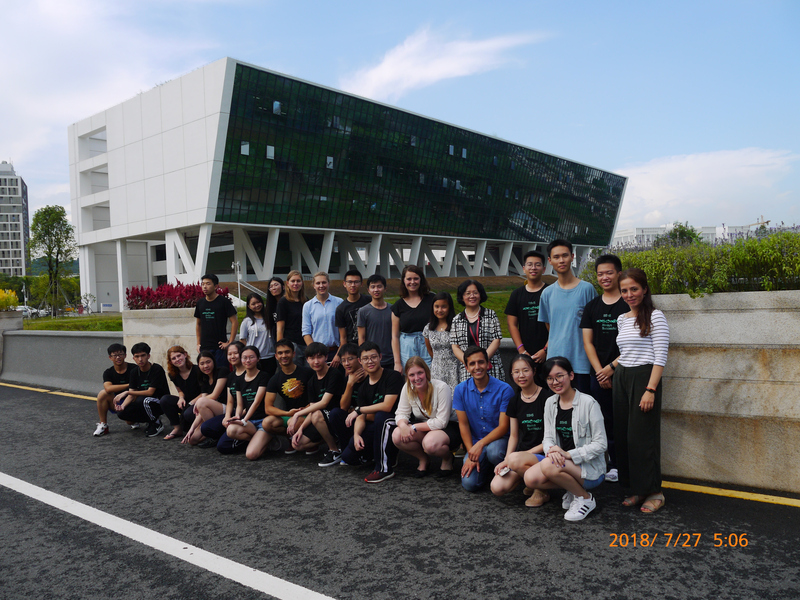 This year, we invited a high school iGEM team, GreatBay_China to our campus for a 2018 iGEM Southern China Regional Meeting held by our team. We shared not only the experience of holding a meeting but some new ideas of human practice. Additionally, we provided them with a laboratory for their Interlab. We shared the reagent and experimental equipment with each other, like a kit board, centrifuge, autoclave as well. 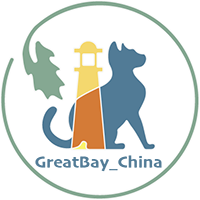 Besides, we shared our experience of Interlab as well as parts of data from Interlab. After they finished the Interlab, they shared some of the plasmids to us for our experiment. They also help us promote our Mini Program by posting their story on it and giving us some suggestions on program design. This year we kept in touch with SUSTech_Shenzhen team. We came to visit their team and talked about our projects and problems we met. Later we were invited to visit their lab, and they shared their electron microscope with us as soon as we required it. They also gave us suggestions on downstream of our projects like fungal fermentation and model design. We characterized the part together and made sure the sequence of Biobrick part is correct. Prior to last year’s collaboration, this year we had an even stronger collaborating relationship with SSTI-SZGD team. At an early stage of our project, we encountered some problems in the transformation of Bacillus subtilis strain. 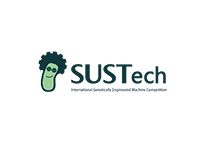 We had previous experience working with Bacillus species, so we set up a meeting to help them with the transformation as well as technical trouble shooting. They did manage to successfully transform our B.subtilis 168 based on their suggestions. In the later stage of protein purification step, we also lend a vacuum pump to them to be used in affinity chromatography. 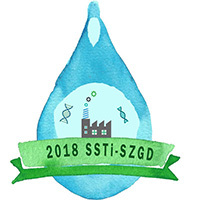 In return, SSTI-SZGD helped us by sharing our iGEM Interlab kits as they ran out some of the key materials in their experiment. By providing silica Beads and Fluorescein Sodium Salt, we were able to finish their Interlab project on time. Additionally, they helped us promote our Mini Program by sharing the process of their team project on their program and giving us detailed feedback after using it. Reference can be seen in the site of Collaboration site of SSTI-SZGD. This year we collaborated with OUC-China in our public engagement. OUC-China made a 13 language translated comic book E.coli spacebook. 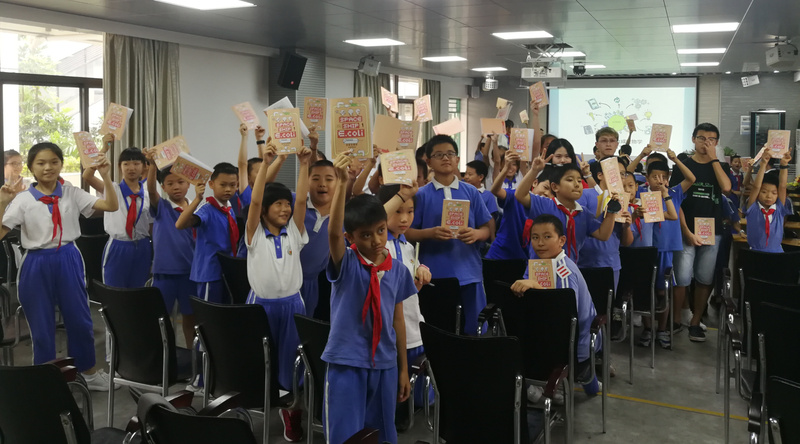 We contacted them and asked for Chinese and English versions for our science popularization in Yueliangwan Primary School, with their supply, students at the primary school had a better understanding of synthetic biology. Reciprocally, we gave them a detailed feedback and suggestion on improving the logic of the whole story. 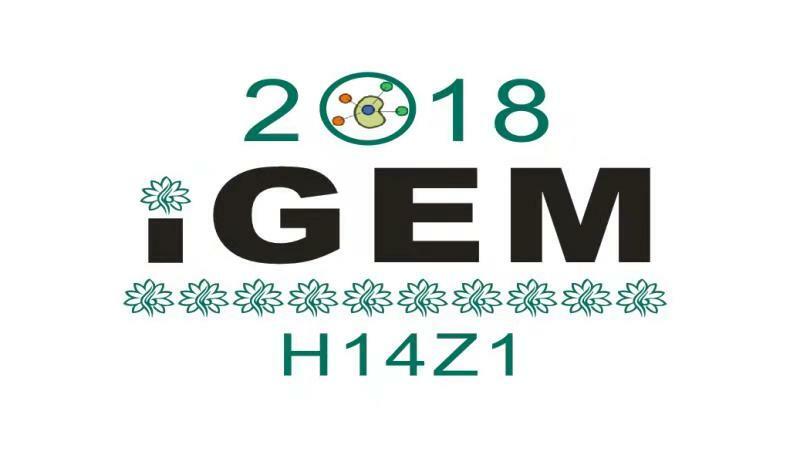 This year, we made a new collaboration with the iGEM team (H14Z1) in Hangzhou NO.14 High School. They need to screen several compatible strains to produce their “smart yogurts ” with their constructed L. lactis together. We went to the supermarket, bought various bands and different conditions of yogurt for them, including Classy·Kiss and CHENGUANG DAIRY, finally isolated several local strains, which were mailed to them for their strain screening plan. In return, they helped us make the content of our Mini Program abundant. They shared their amazing experience in it and helped us promote it to their high school.